We've done it again! 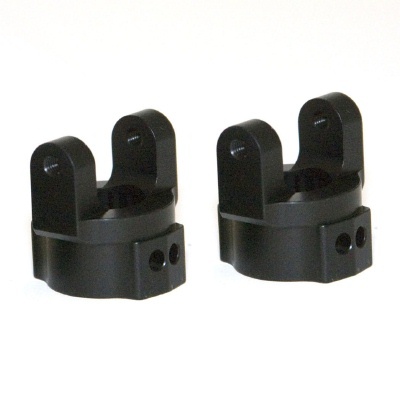 Now you can "clock" your pinion angle, 2 positions with our CNC machined clockable flat black anodized axle C's. This new C, makes the axle much more scale friendly, and is still stronger than stock in both positions!